His terrific circus entreprises made laugh to tears! 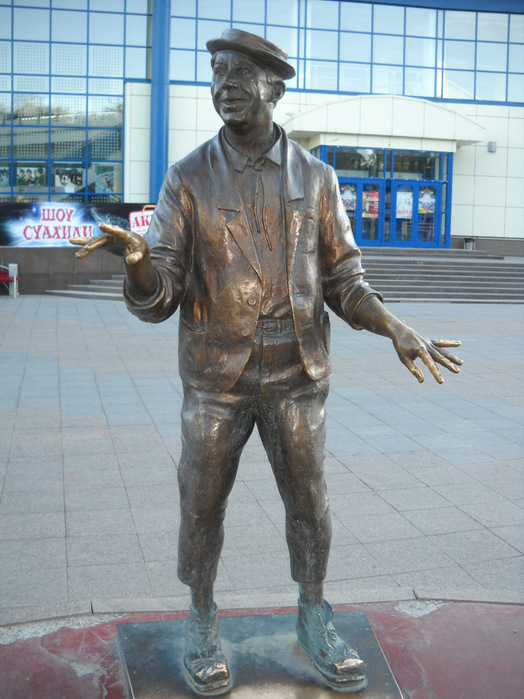 Yuri Nikulin is a unique clown, an original actor, a comedian and a tragedian at the same time. All films with his participation are masterpieces of Russian cinema, no matter comedy or drama films. “The Caucasian Captive or Shurik’s New Adventures”, “Operation Y and Other Adventures of Shurik”, “The Diamond Arm”, “The Shoemakers”, “The Dog Babbros and the Unusual Cross”. And also “Scarecrow”, “When the trees were big”, “Twenty days without war”, and “The fate of a man”. Like most of his contemporaries, he went through all the hardships of the Soviet-Finnish and Great Patriotic War. He suffered a wound, a concussion, but went through the whole war, till the end. Of course, he had the well-deserved medals “For Valor”, “For the Defense of Leningrad”, and “For Victory over Germany”. Widely known about his passion for anecdotes, which he knew innumerable amounts and could tell for hours. 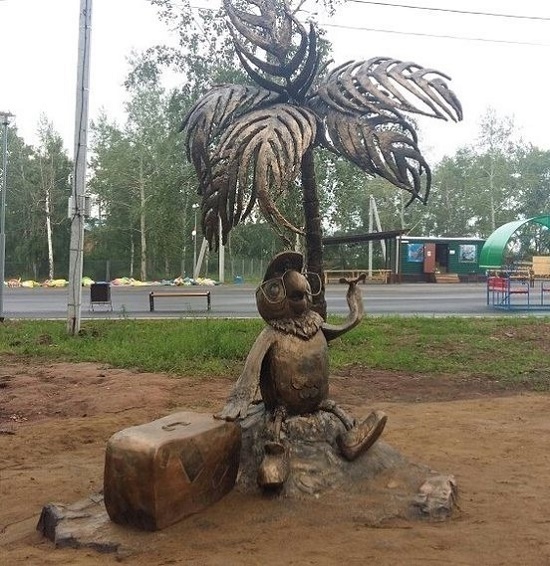 Favorite cartoon characters Sculptural park opened on the Day of Metallurgist in July 2017 in Bratsk, the Siberian city of Russia. 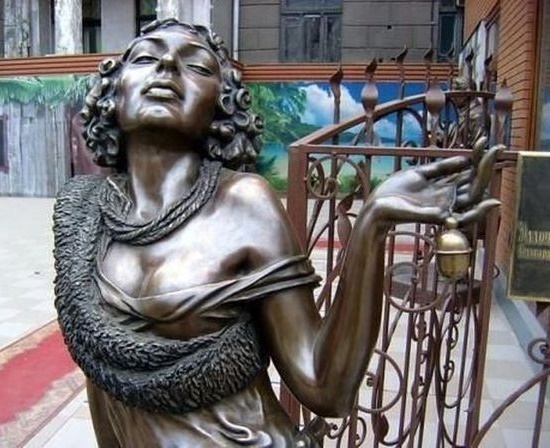 In accordance with the results of the Interregional Festival of Concrete Sculptures held in Bratsk (July 1 – 15), a remarkable sculpture park appeared in Bratsk. 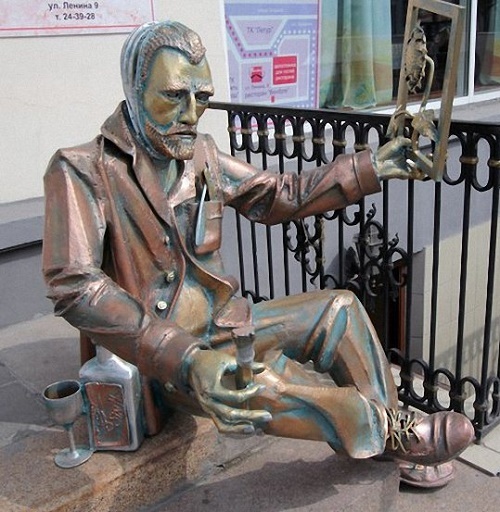 Timed to the Day of the Metallurgist, widely celebrated in Bratsk, the Park of Metallurgists housed competitive works. In addition, hundreds of citizens attended other festive events. According to the press service of the city of Bratsk, for two weeks, 22 masters representing Bratsk, Irkutsk, Perm, Kirov, Omsk, Usolye-Sibirskoe, Chita, Nizhny Tagil, Svirsk, Telmu (Usolsky district) and Nevyansk (Sverdlovsk region), worked in the Park of Metallurgists. As a result, they created 16 sculptures from concrete on the general theme “Favorite cartoon characters”. First, the artists built hollow figures from special metal fittings. The next stage is the piling the figures with building concrete with gravel. And finally, finishing of figures with plaster concrete. All the sculptures are painted bronze with shades of precious metals. 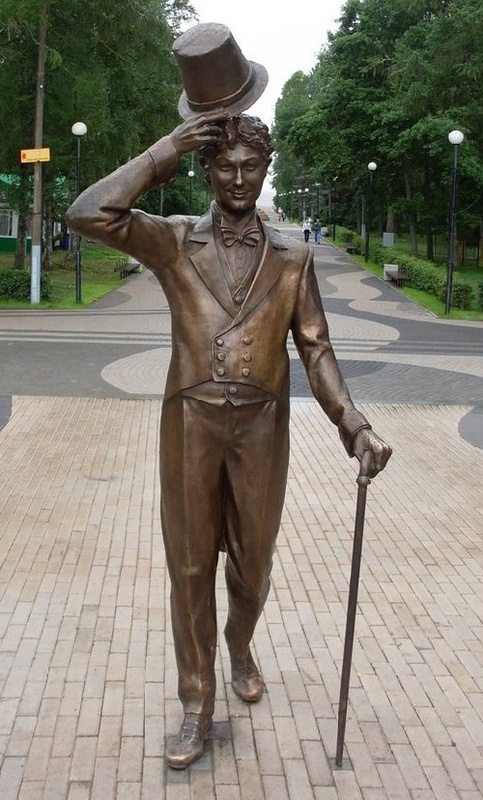 First of all, it is a monument to the outstanding Russian actor Innokenty Smoktunovsky. Here he is in the role of Yuri Detochkin, main character of the Soviet movie directed by Eldar Ryazanov “Beware of the Car” (1966). 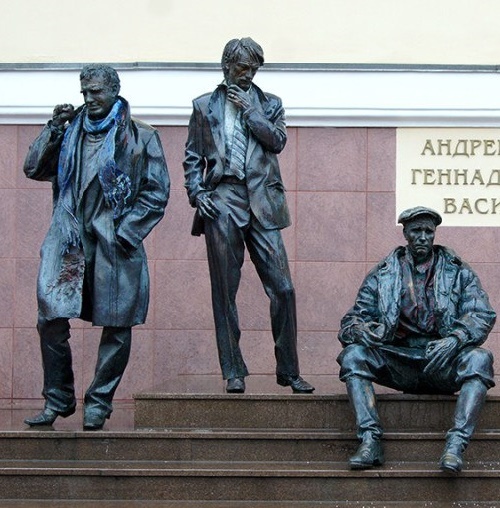 The monument decorates Komsomolskaya Square near Samara Railway Station. 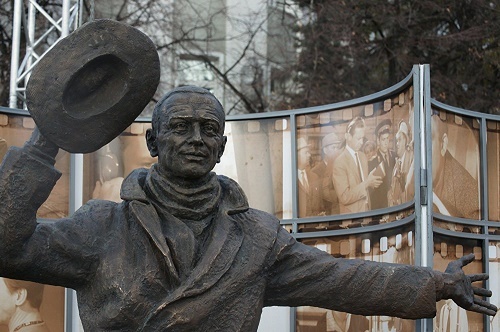 In addition, the monument commemorates the 85th anniversary of Eldar Ryazanov, native of Samara (November 18, 1927- 30 November 2015). They say, it was Yuri Nikulin, who gave an idea for the new film to Eldar Ryazanov. In 1960s, Nikulin learned the story about the Soviet Robin Hood from Samara tour. In short, the man stole cars of corrupt and dishonest people, and sent money to children orphan houses. Meanwhile, the bronze sculpture has height of 2.2 meters and weighs 470 kg. According to the film, Yuri Detochkin is an insurance agent by profession, actor of amateur theater by interest, and car thief by duty. And the sculpture shows the final scene of the film. Released from a jail, Detochkin stands in front of a trolley-bus, where his beloved is a driver; and in a welcoming hand gesture, and with a smile, he says “Hello, Lyuba, I’m back!”.